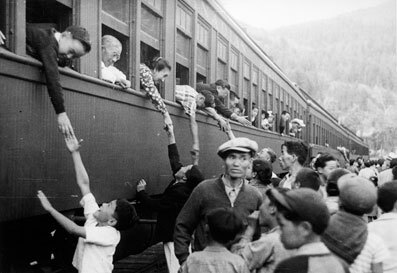 Japanese Canadians being relocated to internment camps during World War II. Today, we recognize that Canada’s actions are not morally defensible, and the government has officially apologized and made reparations. Are we obligated to remember the fallen soldiers of World War I? Do we owe reparations to the First Nations victims of aboriginal residential schools, or to the descendents of those who paid the Chinese Head Tax? In other words, what responsibilities do historical crimes and sacrifices impose upon us today? These questions are one part of the ethical dimension of history. Another part has to do with the ethical judgments we make about historical actions. This creates a difficult paradox. Taking historical perspective demands that we understand the differences between our ethical universe and those of bygone societies. We do not want to impose our own anachronistic standards on the past. At the same time, meaningful history does not treat brutal slave-holders, enthusiastic Nazis, and marauding conquistadors in a “neutral” manner. Historians attempt to hold back on explicit ethical judgments about actors in the midst of their accounts, but, when all is said and done, if the story is meaningful, then there is an ethical judgment involved. We should expect to learn something from the past that helps us to face the ethical issues of today.